Plant Notes: A study by Kaplan et al. (2018) indicated that P. floridanus originated via hybridization between P. pulcher and P. oakesianus. 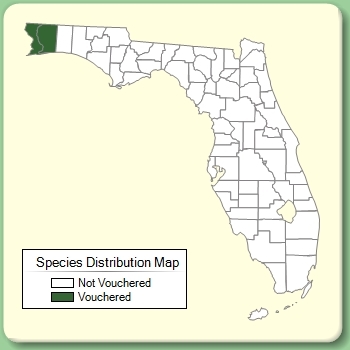 Curiously, P. oakesianus is known from northeastern North America and is not found in Florida. 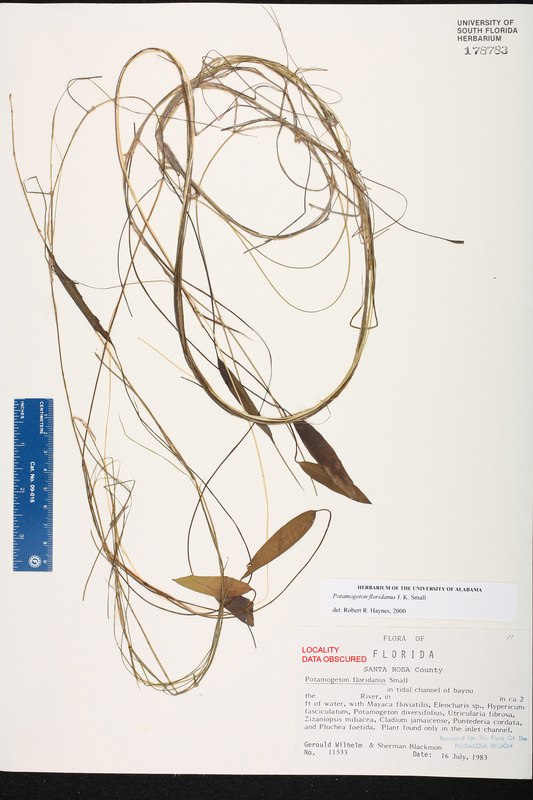 Citation POTAMOGETON FLORIDANUS Small, Fl. S.E. U.S. 37, 1326. 1903. Type: FLORIDA: Santa Rosa Co.: Blackwater River, May 1886, Curtiss s.n. (holotype: NY).